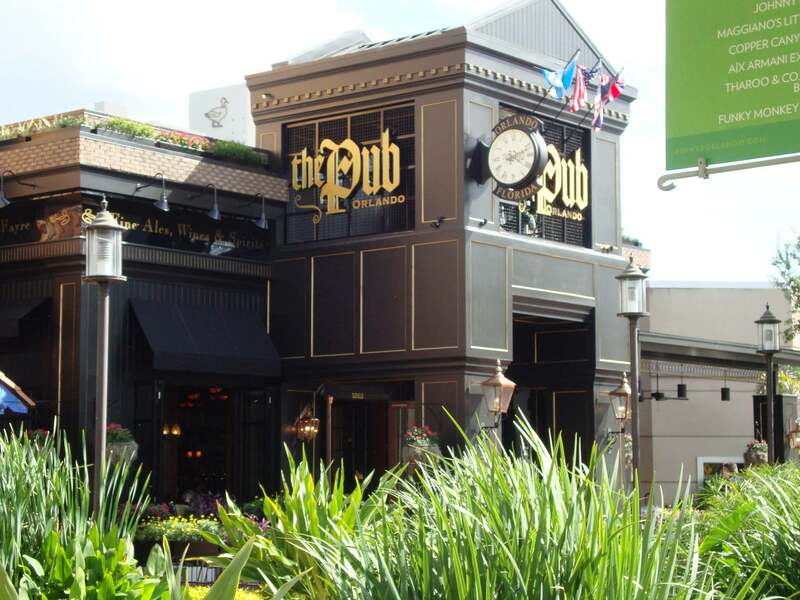 The Pub at Pointe Orlando. We decided last weekend instead of going to the Mardi Gras concert at Universal Orlando, which we go to quite a bit, we would try something a little different. So we went over to Pointe Orlando. We had not been there in a while and wanted to see what was new and different. We had heard a new Pub had opened and was pretty good. So we made our way over to this new British inspired pub – simply called The Pub Orlando. 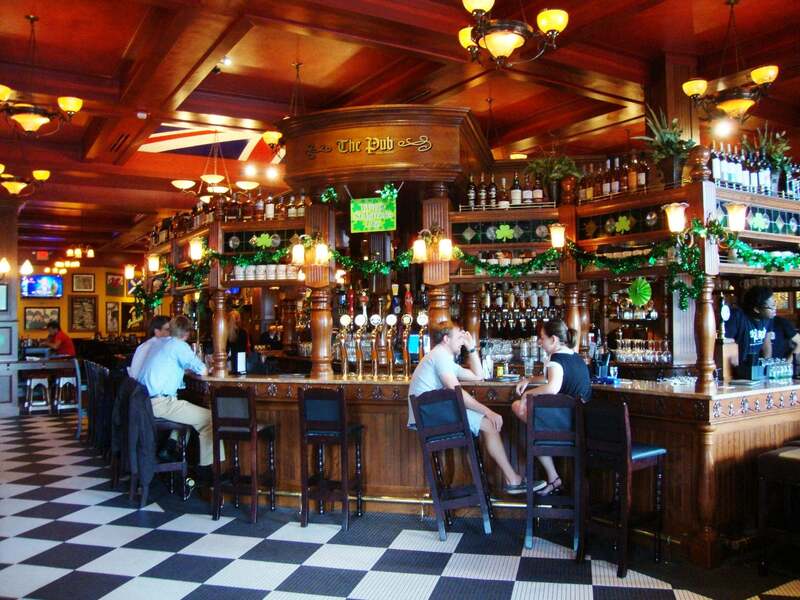 The Pub is decorated in a traditional pub style décor with British accents everywhere. They have memorabilia of the Beatles and Rolling Stones as well as pictures of the Queen and Prince Charles just to name a few. They have a menu with a wide variety of food choices as well as a variety of Beers and a full bar. My husband ordered a Ham and Swiss Pub Pretzel. My daughter had the traditional Fish & Chips. And I had the Welsh Dip Pub Pretzel. This was sliced prime rib, grilled onions and melted mozzarella and provolone on a pretzel bun. It was to die for. We all really enjoyed our selections. The wait staff was knowledgeable and very personable. The male servers were even wearing kilts. We were intrigued by the Weekend Brunch options and would really like to return to try those. After dinner, we walked around Pointe Orlando. The place is really looking good. They landscape is really nice and it was a busy Saturday night with lots of tourist. There were plenty of restaurants to choose from but shopping was not that plentiful. We decided to go over to the movie theatre to catch a movie. We bought our tickets downstairs and made our way upstairs to see our movie. This is a little awkward but we had already been there and knew what to do. Once inside the movie theatre, we were able to validate our parking ticket. We saw The Lorax which is a cute movie for the young at heart. Overall we really had a nice time. It was easy to get in and out of the parking garage and there were plenty of places to walk around and eat. You can go see a movie or go to a comedy club. There is something there for everyone. We will certainly go back! Click any image to view it full-screen. When the full-screen image is open, click to the right to advance through the gallery. If several thumbnails are missing, try reloading this page in your browser.